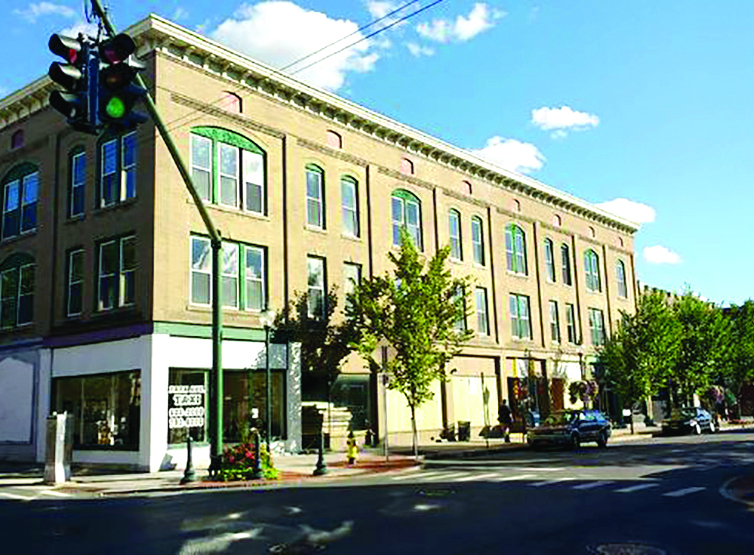 The largest state REDC award went to EDC Warren County, which received $1.5 million for he ongoing South Street redevelopment project in Glens Falls. Warren and Washington counties received some $9.8 million in economic and community development funding through Round VIII of the Regional Economic Development Council initiative. The funding covers 18 projects. The money is part of $67 million awarded to 95 projects in the Capital Region. The state award a total of $763 million statewide. The largest award went to EDC Warren County, which received $1.5 million for its South Street Redevelopment project. Funds will be used by the City of Glens Falls to fund a crucial component that will enable private and public development along South Street to proceed with the construction of a 450-475 vehicle parking structure. The parking structure will provide parking for residents and commercial tenants of the new mixed use building as well as much needed parking for South Street businesses , visitors and shoppers. An award of $800,000 went to FrontStreet Mountain Development’s Ski Bowl Mountain Inn project. The Ski Bowl Mountain Inn at Gore Mountain is a planned 40-room hotel located adjacent to Gore Mountain Ski Area in North Creek. The inn will be a classic Adirondack hotel and will offer ski-in / ski-out accommodations. It will support Gore Mountain as a destination resort. The 2019 phase for the inn will include infrastructure, the main lodge and a ten unit guest cottage. The inn will be expanded in future phases to the full forty room offering. Established in 2011 as a centerpiece of the state’s strategy to jump start the economy and create jobs, the Regional Councils replaced the state’s old top-down approach to economic development with one that is community-based and performance-driven. The initiative empowers communities, business and academic leaders, as well as members of the public in each region of the state, to develop strategic plans specifically tailored to their region’s unique strengths and resources to create jobs, improve quality of life and grow the economy. Officials said the REDC process has transformed New York state government’s approach to economic development, creating a statewide framework for bottom-up, regional economic growth and streamlining the state funding application process. Since the initiative’s inception in 2011, over $6.1 billion has been awarded to more than 7,300 projects that are projected to create and retain more than 230,000 jobs statewide. • City of Glens Falls Henry Street Infiltration and Inflow Study, $100,000. The city will complete an engineering report to address excessive inflow into the Henry Street Pump Station during storm events and identify projects and improvements that will reduce combined sewer overflows and sanitary sewer overflows. • City of Glens Falls, Climate Smart Communities Certification Actions, $43,500. The city will work with the Town of Queensbury to complete government and community greenhouse gas emissions inventories; develop a climate action plan; and assess government fleet inventory, operations, and policies in pursuit of Climate Smart Community Certification. • Finch Paper LLC, Lean Manufacturing Training, $90,000. The company will provide a training program focusing on four key skill areas: Lean Manufacturing, Management and Leadership, Six Sigma Quality, and Financial Planning and Control. • Rogers Memorial Park Waterfront Sustainability Improvements in Bolton, $600,000. The Town of Bolton, implementing its recently approved Local Waterfront Revitalization Program, will improve recreational amenities by designing and constructing the final phase of Rogers Memorial Park. Construction will include a bandstand, terraced retaining walls, accessible sidewalks for pedestrians, parking area, undergrounding overhead utility lines and stormwater improvements. • Town of Bolton Wastewater Treatment Improvements, $1 million. The Town of Bolton will implement improvements at their wastewater treatment plant, main pump station, and wastewater collection system, including adding a woodchip bioreactor as a tertiary denitrification process. This project will reduce the amount of nutrients released in the Lake George watershed, helping to protect the lake from harmful algal blooms. • Town of Hague Wastewater Treatment Plant Improvements, $230,625. The Town of Hague will install new control systems and perform other upgrades at their Dodd Hill and Cape Cod pumping stations. These wastewater treatment improvements will help prevent nutrients entering nearby waterways, including phosphorus that may lead to harmful algal blooms. • Town of Lake George Wastewater Pump Station Consolidation, $657,028. The town will consolidate two of its pump stations, making upgrades to the lower pump station and installing sewer pipes and force mains. The benefit of this project includes protecting Lake George from additional phosphorus that can lead to harmful algal blooms. • Town of Warrensburg Library Avenue Sewer District Extension Study, $30,000. The town will complete an engineering report to evaluate the installation of public sewers for a proposed Warrensburg Sewer District extension to serve previously unsewered areas near Library Avenue. • Village of Lake George Infiltration and Inflow Study, $100,000. The village will complete an engineering report to identify sources of infiltration and inflow in the sanitary sewer collection system. • Schroon Lake Invasive Species Prevention and Control Program, $289,750. Warren County, in partnership with the towns of Horicon, Chester and Schroon, will implement a comprehensive aquatic invasive species prevention and control program for the Schroon Lake Basin. Implementation will include a comprehensive boat inspection and decontamination program to remove aquatic invasive species and hand harvesting to remove Eurasian Watermilfoil. The project will implement the 2010 Schroon Lake Watershed Management Plan. • The Warren County Soil and Water Conservation District, $65,200. It will expand its county-wide roadside erosion and sediment control program by stabilizing 15-20 acres of bare roadside ditches. The project will improve water quality by reducing sediment and debris runoff entering water bodies from roadside ditch erosion. • Doty Machine Works in Fort Edward, $400,000. It will purchase and install additional equipment at the Fort Edward facility. The project will increase overall efficiency of machining process thus improving and expanding customer base. • Friends of the Washington County Grasslands IBA, Inc., AZS Viewing Area Phase II $63,191. The Friends will acquire 64 acres of prime grassland habitat in the town of Argyle as part of a project to protect New York’s endangered and threatened grassland birds, and will open a 1 1/2 mile birding trail to the parcel from their accessible viewing area on County Road 42. • HomeFront Development Corp, $20,000. It will use funds to develop a reuse study for three properties in the Village of Cambridge. • Hubbard Hall in Cambridge, $30,000. The site of a Women’s Suffrage Convention hosted by Susan B. Anthony in 1894, will create and perform a new play based on the life of Susan B. Anthony, the work of the Women’s Suffrage Movement, and this historic event at Hubbard Hall. • Town of Granville Northern Slate Valley Rail Trail, $250,000. The Town of Granville will construct a northern segment of the Slate Valley Rail Trail linking miles of family friendly, accessible trails.